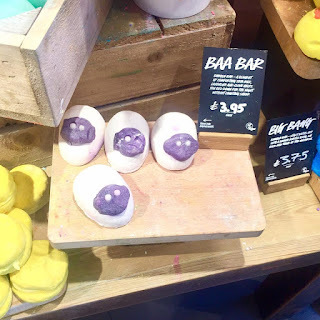 Lush have released some new products to all stores after their Lush Summit that is held within Tobacco Dock London so I thought that I would tell you all about it. There is also some stuff thats exclusive to Oxford Street but as I live in Leeds I sadly can't really talk much about that. I also know that the Easter range has been talked about but sadly I won't be talking about that range until it is released to all stores so I can properly smell them. This is a Mothers Day essential when it comes to Lush just like Snow Fairy at Christmas or Prince Charming at Valentines Day. This contains Fairtrade Organic Cocoa Butter which makes the base of Yummy Mummy hence this product being a Cream and not a Gel as its way more nourishing than a gel, Yummy Mummy also contains Geranium and Brazillian Orange Oils and Tonka Absolute which makes up a slightly floral but sweet scent. The only difference between this years version and last years is that this years version is slightly more sweet whereas 2016's version was heavy on the Geranium for me. 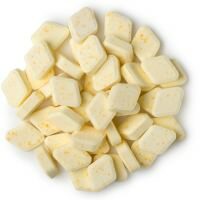 It's £4.95 for 100g but there is other prices for other sizes. 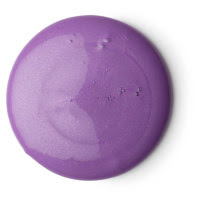 A circle of purple shower cream on a white background. 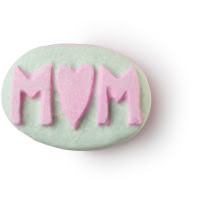 A oval pastel pink bath bomb with Mum engraved in capital letters on a white background. 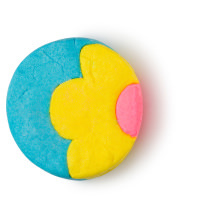 A circular bath bomb with sections of blue, yellow and pink on a white background. White ovals with inner smaller black circles and smaller white circles on a light wood board with black cards and white writing. 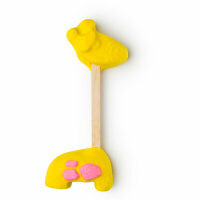 Two bright yellow bubble bars on a wooden lollipop on a white background. 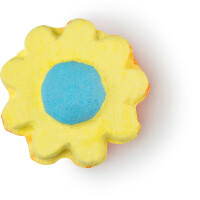 A yellow flower shaped bath bomb with an inner light blue circle on a white background. 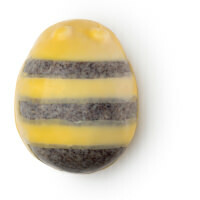 A yellow oval shaped product with black stripes on a white background. 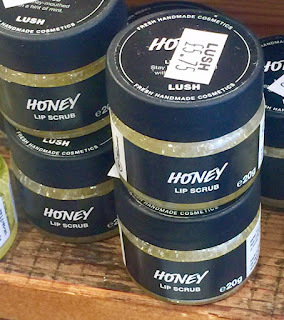 Circular glass pots containing yellow lip scrub with black lids black stickers and white writing saying honey lip scrub and lush with a white sticker stating the price placed on a wooden slab. Do you remember the good old days where Pink Custard was the main thing served with your school dinners? 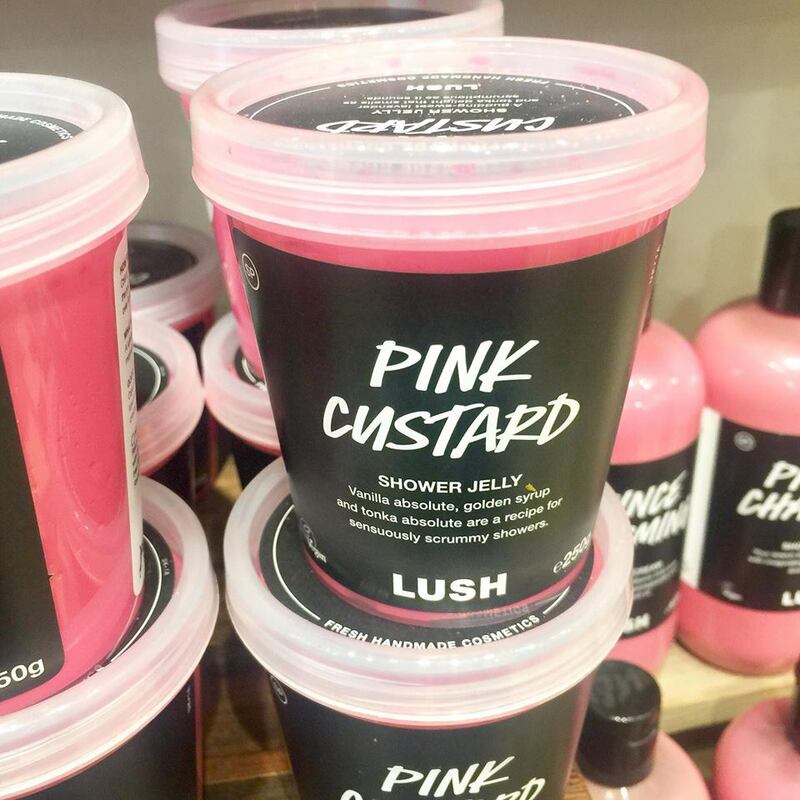 Well Lush have turned the words Pink Custard into something completely different with their new shower jelly. If you're a fan of Think Pink Bath Bomb then you will love this shower jelly as it smells very similar! This gorgeous jelly contains Golden Syrup, Lavender and Neroli Oils Vanilla and Tonka Absolute's, Carrageenan Extract which makes the texture what it is and Coconut Milk. If you haven't smelt or tried out a shower jelly before then I urge you to go into your local Lush and give them a wobble and a sniff. Pink shower jelly in a clear tub with a black label saying pink custard, a description of the product and a Lush logo on a background of other Lush products. Mother Earth is a Oxford Street Exclusive and as I am writing about the stuff that has came to all stores I didn't think there was any point including it, Check the website to find out more about Mother Earth. This shower gel is something completely new when it comes to scents as Lush have never really done anything Plum wise to my recollection. This has been living at Lush Oxfotd Street for quite a while but whilst living there the gel has visited the Lush Kitchen site a fair few times and as it has done so well at both places Lush decided to share it with the world. This shower gel contains an Umeboshi (Pickled Plum) Infusion, Fresh Plum Juice, Sicilian Mandarin Oil and a few other ingredients. This has such a deep intoxicating smell! I think the best way to put it is a mature distant cousin of The Comforter. 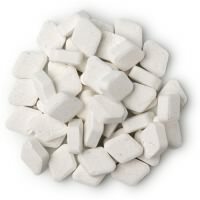 £5.50 for 100g and other prices for other sizes. 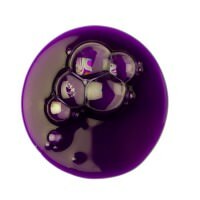 A circle of dark purple shower gel with a couple of bubbles on a white background. Pop one tab into the mouth and take a sip of water to start the fizz. Nibble and swish before spitting out. You can also dissolve a tab in a small amount of water and rinse the mouth that way. They can also be used throughout the day whenever you fancy a bit of oral refreshment! I love these mouthwash tabs. They provide something different than the general sort of mint flavoured oral products. 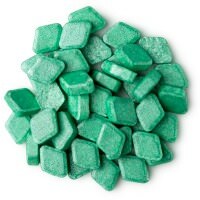 You can only do mint so many times before it gets boring and what about those people who are allergic to mint? Huh?! These tabs contain Quinine which packs the same taste as Tonic Water, Lemon and Aniseed Oils and Gardenia Extract which creates a deep citrus taste that perks up your mouth for the day. Same price as above. Pastel yellow rounded rectangular tabs on a white background. When I smelt this one I was a tad bit confused but when I used it I got that this one is for those who like things on the mild side. Ugai is based off the Japanese custom of gargling. This last mouthwash in the range contains Fine Sea Salt, Green Tea Powder and Tea Tree Oil which sounds like a weird mixture but they all work to make the mouth clean and to give a fabulous clean feeling in the mouth. Same price as the other mouthwashes. Frosty blue rounded rectangular tabs on a white background. I hope that you have found this post a little bit informative. Don't forget to check the Lush website or your local store if you want to purchase any of the above. I hope that you come back on Monday for another post! Some of the images are Lush's therefore all rights are reserved to them. The Honey Lip Scrub, Pink Custard and Baa Bar pictures are my own.